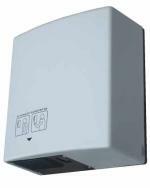 Typhoon provides a hard resistant metal shell and a short drying operated by automatic sensor. The efficiency match to stylish look, make it a great value package. 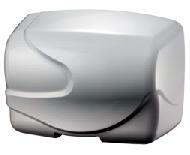 The Mistral 2200 is the result of 4 years research and design to achieve the best range of hand dryers on the market whilst taking on board concerns for better hygiene in the washroom, the Mistral wins the contest with style. The new design matched with quality will have you thinking that it is time to throw in the towel! Zephyr provides a hard resistant metal shell and a short drying operated by automatic sensor. The efficiency match to stylish look, make it a superb package. 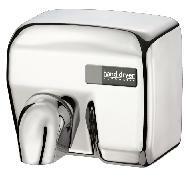 The XLERATOR hand dryer delivers 3 times faster hand drying power than leading competitors. 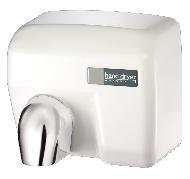 Users hands will be completely dry in only 10 to 15 seconds.